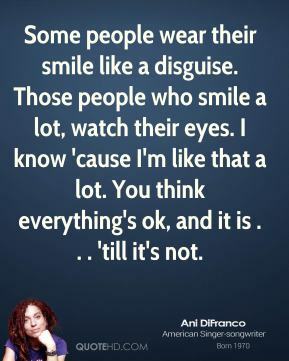 Some people wear their smile like a disguise. 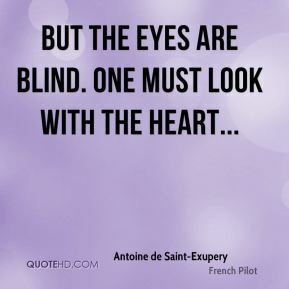 Those people who smile a lot, watch their eyes. 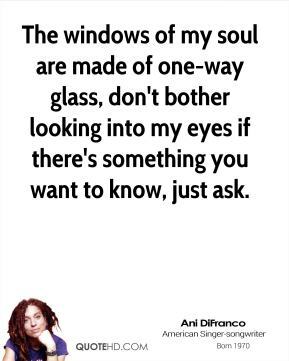 I know 'cause I'm like that a lot. You think everything's ok, and it is . . . 'till it's not. I check blood pressure, look at the eyes, tongue. I ask about sleep patterns, energy, bowels. 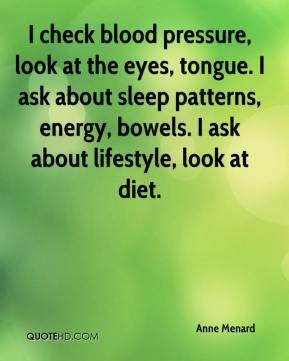 I ask about lifestyle, look at diet. 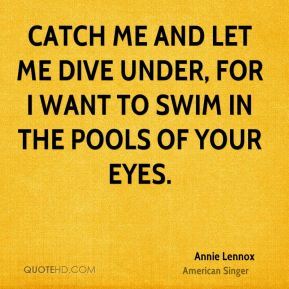 Catch me and let me dive under, for I want to swim in the pools of your eyes. We really need to reconnect with our roots. 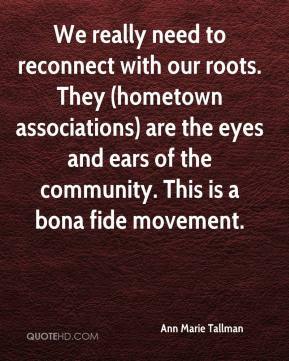 They (hometown associations) are the eyes and ears of the community. This is a bona fide movement. My kids' eyes always light up -- 'Why are these people screaming over my mother?' 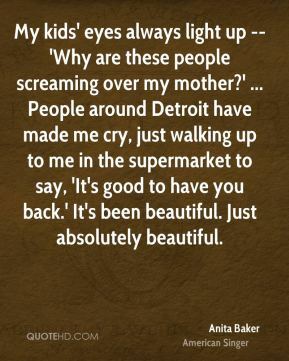 ... People around Detroit have made me cry, just walking up to me in the supermarket to say, 'It's good to have you back.' It's been beautiful. Just absolutely beautiful. 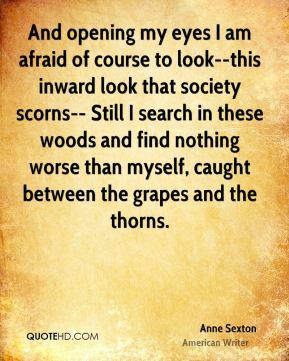 And opening my eyes I am afraid of course to look--this inward look that society scorns-- Still I search in these woods and find nothing worse than myself, caught between the grapes and the thorns. 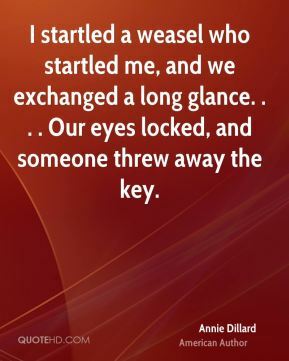 I startled a weasel who startled me, and we exchanged a long glance. . . . Our eyes locked, and someone threw away the key. He had a smile that would warm your heart. 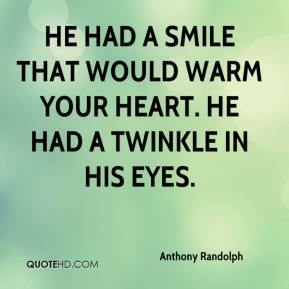 He had a twinkle in his eyes. 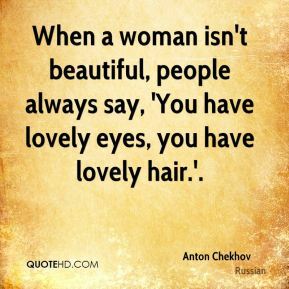 When a woman isn't beautiful, people always say, 'You have lovely eyes, you have lovely hair.'. 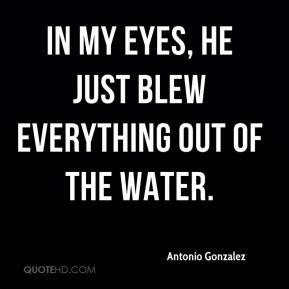 In my eyes, he just blew everything out of the water. 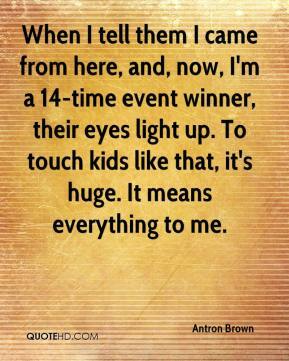 When I tell them I came from here, and, now, I'm a 14-time event winner, their eyes light up. To touch kids like that, it's huge. It means everything to me. 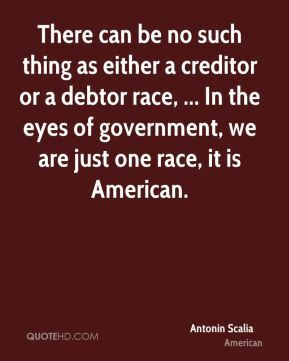 There can be no such thing as either a creditor or a debtor race, ... In the eyes of government, we are just one race, it is American. Sometimes you stop and think about what could have been. 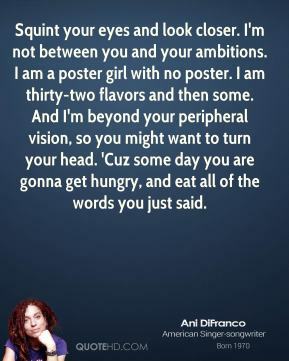 But all eyes are on the future now. 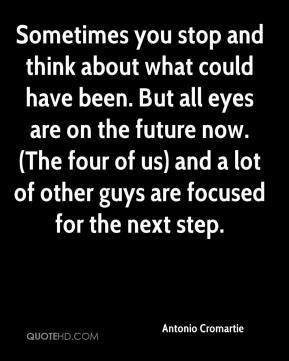 (The four of us) and a lot of other guys are focused for the next step. 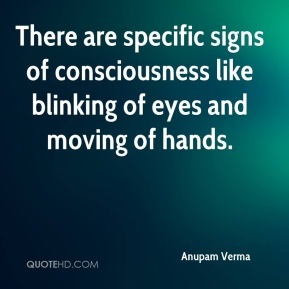 There are specific signs of consciousness like blinking of eyes and moving of hands. She looks at him (Andrew) with such love in her eyes. We want to show Latin America through Latin American eyes. The United States and Europe have dominated information beamed to our continent for decades. 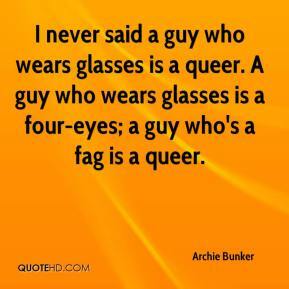 It is time to change that. They portray us in black and white. 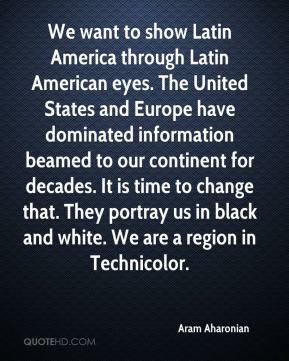 We are a region in Technicolor. 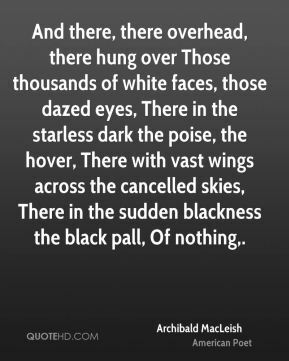 And there, there overhead, there hung over Those thousands of white faces, those dazed eyes, There in the starless dark the poise, the hover, There with vast wings across the cancelled skies, There in the sudden blackness the black pall, Of nothing. 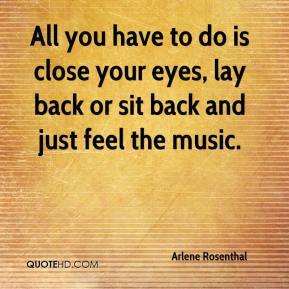 All you have to do is close your eyes, lay back or sit back and just feel the music. I think everyone had a little bit of tears in their eyes during the national anthem. The ladies of St James's! 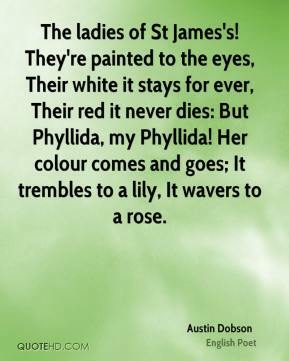 They're painted to the eyes, Their white it stays for ever, Their red it never dies: But Phyllida, my Phyllida! Her colour comes and goes; It trembles to a lily, It wavers to a rose.